Boxwoods, Leafminer, and Mites- Oh my! Boxwoods are easily one of the most popular shrubs we see on properties in the Richmond area. Introduced to the Americas in the early 1600’s, Boxwoods of many varieties have become a staple of the American garden landscape. These attractive and relatively low-maintenance shrubs have come a long way since their first planting on American soil- these days it seems almost everyone either has a boxwood, or knows someone who does, which is why sharing information about boxwood specific insects is so important! Clemson University’s Home & Garden information center classifies Boxwood Leafminer as the most serious insect pest that attacks Boxwoods, and we do not disagree. The leafminer is actually the larva of a small, orange fly that you may notice swarming around Boxwoods in the spring. The adult female inserts her eggs into new boxwood leaves’ upper surface (This will appear as distorted, blister like afflictions). There, the larva overwinter until they are ready to emerge in the spring as the boxwood’s new growth is occurring, and repeat the process. Heavy or repeated infestations are unsightly; the distortion in leaves leafminer causes can be spotted from as far as 100 yards away. Heavy infestations also cause a significant loss of leaves, disrupting the plant’s ability to photosynthesize, which will either weaken the plant for secondary invaders—or result in the plant’s death. Another noteworthy and common foe of the boxwood is the boxwood mite. Mites are a tiny, spider-like insect that feed on plant sap. Feeding causes stippling on the boxwood’s leaves, this will appear as tiny light colored spots or scratches on the upper surface of the leaf. In very serious cases of heavy infestation, leaf drop can occur, but in general the biggest concern with boxwood mites is that it weakens the boxwood for other invaders or disease. Stippling caused by boxwood mites. Photo courtesy of the Missouri Botanical Garden. Luckily, both of these Boxwood attacking insects are treatable, but like most ailments it is best caught early on. 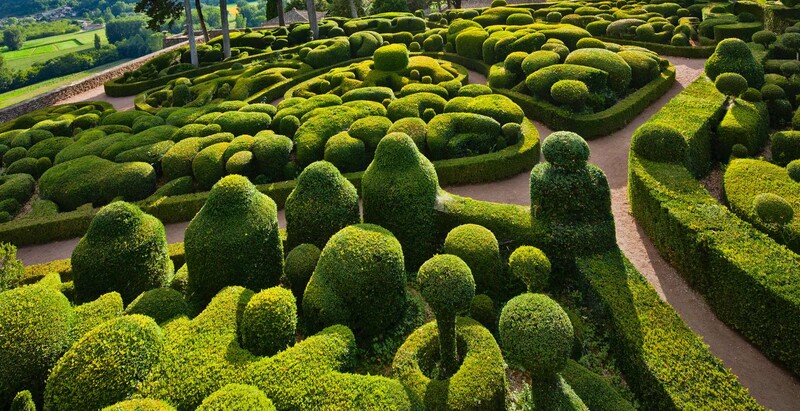 If you, like so many other Virginia residents, have Boxwoods of any variety on your property it is more likely than not that you will face one of these issues. Vigilance will be your best friend! If you aren’t checking your plants regularly, or you don’t have someone who does this for you, we highly recommend seasonal inspections. Aren’t sure what you’re looking for? Contact us today to schedule a property evaluation with one of our consulting arborists!